How does the choice of fermentation vessel affect the taste of the wine? Caroline Gilby is a Master of Wine and a scientist by training. 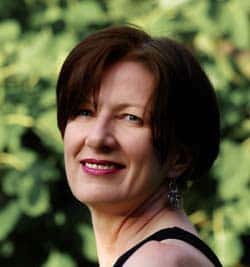 She is a wine writer with a passion for the wines of Central and Eastern Europe and contributes to several wine books, magazines and websites. 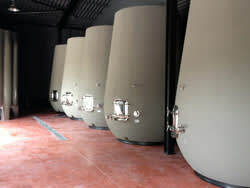 From traditional wooden barrels and stainless steel tanks to clay amphorae and trendy concrete eggs, the choice of fermentation vessel is just one of the ways a winemaker can influence the taste of the wine. 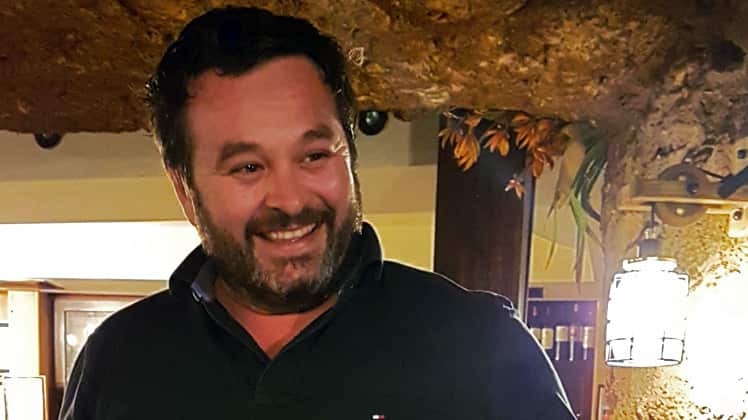 Wine writer Caroline Gilby MW finds out more about the pros and cons of the various options available. In principle, wine is simply the fermented juice of freshly gathered grapes, something Neolithic man almost certainly discovered as long as 8,000 years ago. Left to itself, grape juice will ferment, but sadly for wine lovers, it won't just stop at wine but will continue to ferment and then probably oxidise all the way to vinegar. 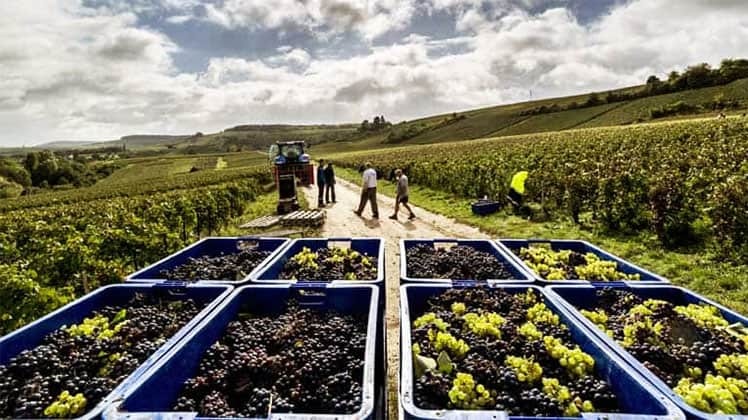 The aim of modern winemaking technology is to help the transformation from simple grape juice to the complexity of wine, but also controlling the process so results are reliably wine-like, and more or less consistent. 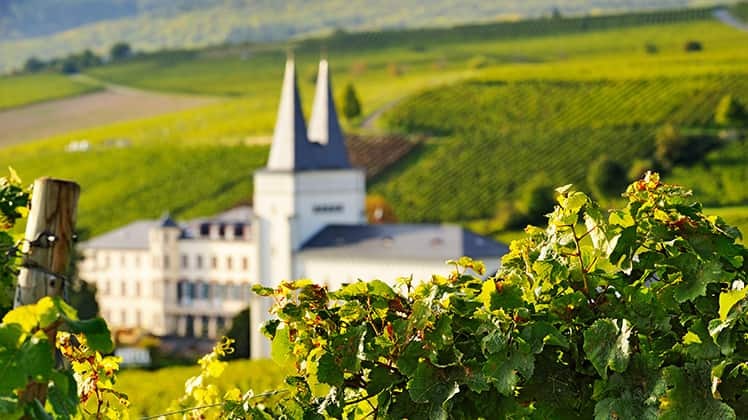 Winemakers have a multitude of options available to them, depending on all sorts of factors including grape variety, tradition, wine style, cost, and of course the sheer fascination of finding out what works best with a particular vineyard. This article will take a look at just one of those options - the choice of fermentation vessel. Let's start with the most ancient option - clay. Clay or earthenware jars have almost certainly been in use for as long as people have been making wine. The oldest winery so far discovered dates back nearly 6,000 years. 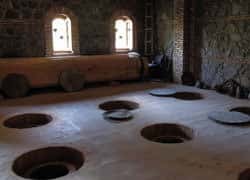 This truly fascinating site was discovered in a cave in the highlands of Armenia and contains a rudimentary wine press with remnants of grapes and traces of wine in a clay jar that looks very much like those still in use today. This winemaking method involves fermenting the grapes, often complete with stems, in large qvevri, typically buried in the floor of the cellar (or Marani, a semi-sacred place to most Georgians and found in almost every house). The wine is simply left to ferment, and the result can be thrilling, complex, structured 'orange wines' (at least where they started with white grapes - black grapes are also used) but often is horrible, faulty and undrinkable. 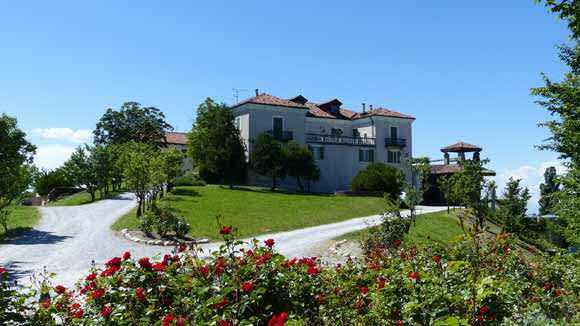 Nevertheless, this method of winemaking in clay has spread around the world, widely acclaimed as the next big thing in winemaking, particularly on the back of the recent trend for so-called 'natural wines'. 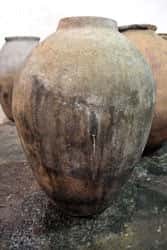 In fact, clay jars have quite a well-established tradition in Europe, especially in Spain, where tinajas (the local name) have been used for centuries in Spain's arid heartland where clay was plentiful and trees were not. Tinajas were also exported to countries like Chile with Spanish colonists. Modern day supporters of the return to clay claim benefits such as gentle micro-oxidation, due to the porous nature of the material, but without adding oak flavour to the wine. It's worth explaining 'micro-oxidation' (sometimes called 'micro-oxygenation') as it is quite a common term in winemaking circles. It means exposure to really tiny, even microscopic, amounts of oxygen that are too low to cause actual oxidation, but help to fix colour and soften aggressive tannins. 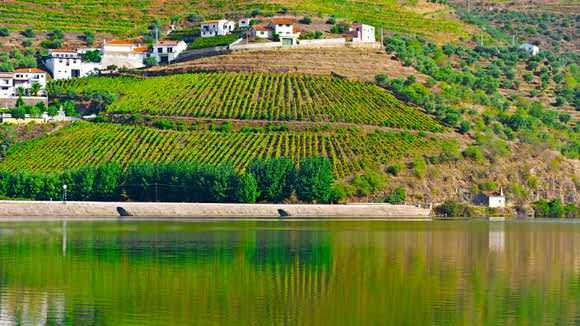 Oxidation itself is a damaging reaction for most wine (except a few deliberately oxidised styles like Madeira, some sherries, or southern French wines like Banyuls) where wines lose their fruit flavours, often gain notes of varnish or prunes, and turn brown. 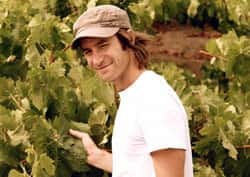 One leading proponent of clay tinajas is Sebastian de Martino in Chile who produces two wines called Vieja Tinajas (a cinsault and a muscat) in 80-year-old tinajas. The next closest material to clay in terms of its winemaking properties is concrete, which is finding a return to favour, perhaps most surprisingly in Bordeaux. 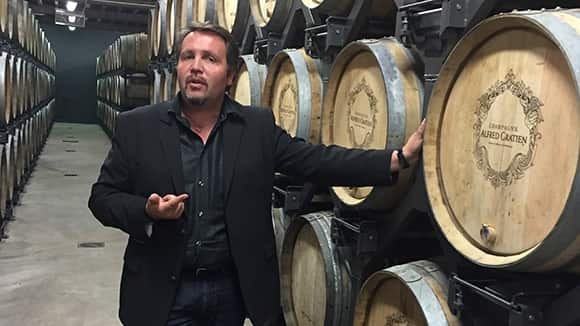 Here producers can usually afford the Rolls Royce of winemaking options, but many are increasingly opting for what, in some eyes, may be perceived as distinctly old-fashioned. Concrete has been used since the early 20th century and possibly a lot longer (the Romans certainly had the technology for making concrete). Traditionally it was the choice for huge vats and tanks in large-scale co-operative wineries, or in collectivized Eastern Bloc winemaking complexes. Halewood Romania (who supply La Catina Pinot Noir) had to bring in the army to dynamite the massive old concrete vats in a winery they wanted to modernize back in the early 1990s. Concrete had the advantages of being cheap, easy to make into large vats to fill whatever space was available, and quite neutral, especially if lined with glass tiles or epoxy resin. Its thick walls give it huge thermal inertia, so temperature tends to stay quite steady, helping to avoid temperature spikes during fermentation. The downsides include being hard to keep clean and lack of flexibility for producers who may want to work with smaller lots of wine. However today's new generation concrete tanks are often much smaller, and designed with hatches to allow access for cleaning (I think possibly one of the worst jobs in the winery!) and temperature control may be built in too. 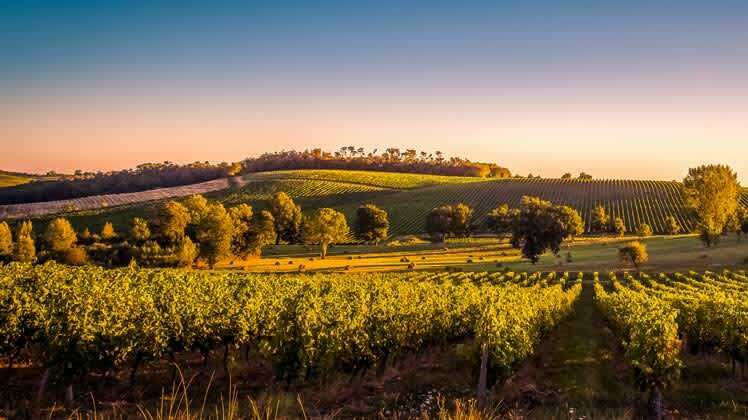 Reduction is another technical winemaking issue where the wine does not get enough oxygen and ends up smelling and tasting of the bad egg gas; Hydrogen Sulphide, and other reduced sulphur compounds that may smell of struck match, garlic, cabbage or sweaty socks. A further development of the concrete concept is the 'egg', an egg-shaped concrete vat design first commissioned by legendary Rhône producer Michel Chapoutier in 2001. He also explains that with his sunny Mediterranean-type climate (and grape varieties), the tannins and fruit tend to be more mature, with fully ripened tannins from the outset so there's less need to expose the wine to oxygen during ageing. This is because one of the roles of oxygen in wine ageing is to soften astringent and under-ripe tannins (or polyphenols), particularly through polymerising short chain molecules into longer ones, resulting in a softer, more velvety texture. Brocard finds concrete eggs the most neutral option of all, and finds that the lees (remains of spent yeast) circulate in the wine for longer, adding flavour and texture. 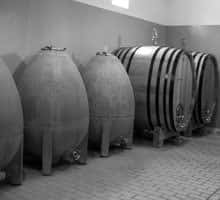 In fact, one of the major benefits cited for these egg-shaped vats is that the fermenting juice and wine circulate naturally with no dead spots. This helps keep temperatures even and may be why these lees don't settle out of the wine so quickly. The more chemically minded among readers will be well aware that wine is strongly acid (well below pH 4) while concrete tends to be alkaline so it has to be treated carefully and washed well with tartaric acid before it is used - or lined with an impervious coating. After a year or two the concrete will almost certainly be coated with tartrate crystals, which suggests it is the shape of the vessel that is important rather than the raw concrete surface, though robust science is still somewhat lacking. Cleanliness is also a question as the rough untreated surfaces of concrete leave lots of tiny spaces for micro-organisms to hang on - though for some producers seeking spontaneous or wild ferments, this is very much seen as a benefit. Probably the oldest material in use for winemaking after clay is oak. No one really knows how long oak has been used for wine, but its robustness and relative ease of handling must have made life much easier than relying on fragile clay jars or stinky goat skins. It must have been a complete revelation to the first person that put young wine into a new oak barrel, and discovering the almost magical properties of oak to soften rough tannins and add flavour, particularly vanilla notes. Still today there's really no substitute for the use of oak barrels in fine winemaking, especially for red wines. Other woods have been used including cherry, chestnut, acacia and even redwood, but oak still rules. There are three species of oak used in winemaking: Quercus alba, the American oak, Quercus sessilis, the French oak of eastern France and central Europe and Quercus robur, the oak of western France, also known as the English oak. When brand new, oak barrels actually bring flavour to wine and this varies with the species of oak and the way the barrel has been made. Oak barrels only give flavour to wine for a few years - by the third time they are used only around a sixth of the flavour compounds remain to dissolve into wine. However, even older barrels have an important impact on wine quality allowing a gentle low-level exposure to oxygen. This helps to soften the aggressive tannins found in young red wines, and helps to fix and to deepen colour through reactions between polyphenols and anthocyanins (the pigment compounds in grapes and wine). 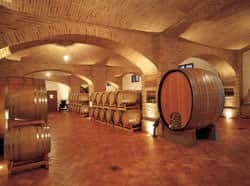 Oak is also used for large fermentation tanks and the traditional large casks or 'botti' typically used in Italy for maturing reds like Barolo and Amarone. Another technical term to explain here - almost all red wine and some whites undergo a second bacterial fermentation called malolactic fermentation that converts sharp apple-like malic acid into softer tasting lactic acid (the main acid in milk), while at the same time giving more supple texture and roundness to the wine. Muga reckons oak gives good natural sedimentation too, 'After three years' ageing we just need light egg white fining, and no filtration, which is good for quality,' he explains. There's no doubt that using oak is an expensive choice though - it's not just the price of the wood that must be accounted for (and that's not cheap) but also a special cellar or warehouse, lots of additional handling and plenty of time too. 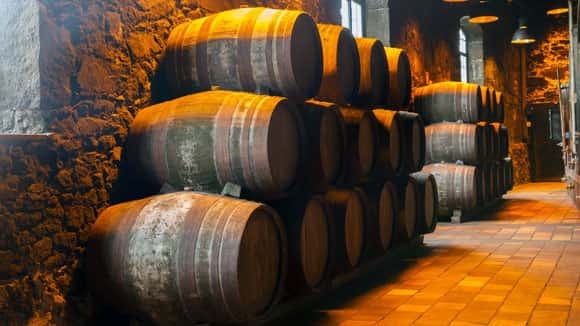 So perhaps it's no wonder that barrel sales are falling - from 3% of the world's wine ageing in barrel to 2% according to one major barrel company. The final consideration is the most technical of all, and probably the most widespread too. Stainless steel was originally borrowed from the dairy industry in 1960s, and is probably one of the greatest innovations in modern winemaking. Stainless steel may be expensive to buy but it is robust, hygienic and easy to keep clean and free from rogue bugs. It is extremely controllable, with good thermal transfer, so quick to cool down or heat up, and nowadays closely controlled by computer, and usually fitted with cooling jackets, or internal panels to control temperature. Steel tanks are usually enclosed so have had to be adapted for red wine fermentation. Colour in red wines comes from the grape skins, which have a tendency to float and sit on top of the juice as a 'cap', as fermentation gets going. For good colour, and extraction of enough tannin to give structure and longevity, traditionally workers physically pushed this cap of grape skins back into the juice with long poles (known as punching-down). However, with enclosed tanks this is usually not possible. Mechanical punching down of the cap is one innovation, while other methods include physically submerging the cap or pumping juice out of the tank then back over the cap. Horizontal rotary tanks present another option, as these have a large surface area of skins to juice, and paddles to keep young wine mixing. 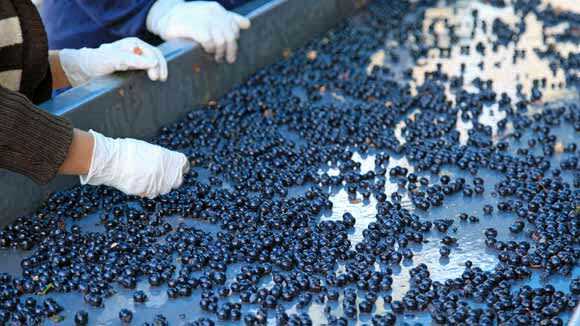 This way colour and flavour is extracted before too many harsh tannins, but is not typically used for fine wines. 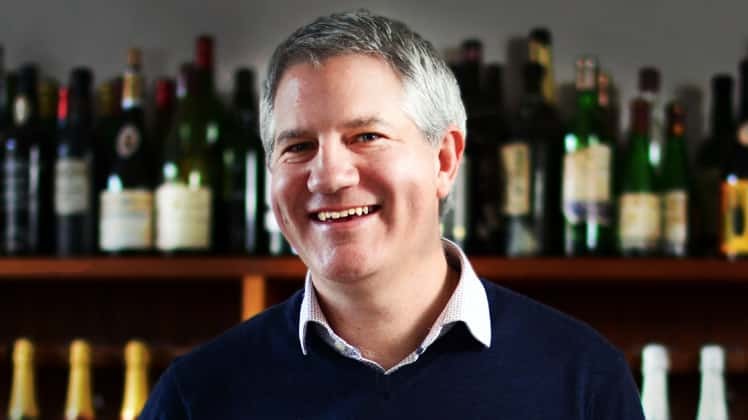 This is only a quick overview of a small range of the choices available to winemakers, as each seeks their own route to quality and individuality - no wonder wine is so complex and endlessly fascinating. Find out more about some of the other aspects of winemaking and the choices faced by the winemaker in our Introduction to winemaking article. "I am just wondering about the source of light to moderate tannin-like grip in some whites, what could cause that? And if there is exposure of a white to old oak for micro-oxygenation, then at what stage does in its usage life, does oak stop contributing oak tannins?" 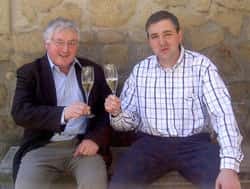 I can't think of any positive benefits for light in ageing of white wines part from in rare cases like the rancios in southern France such as Maury. These may be deliberately aged outside in glass jars. White and rosé are particularly vulnerable to a condition called light strike. This is caused by ultraviolet light degrading certain amino acids in wine and producing unpleasantly smelly compounds (smelling like cheap lager, rotting cabbage or skunk). This can happen within just an hour or two of exposing wine to light and that includes artificial light in shops."